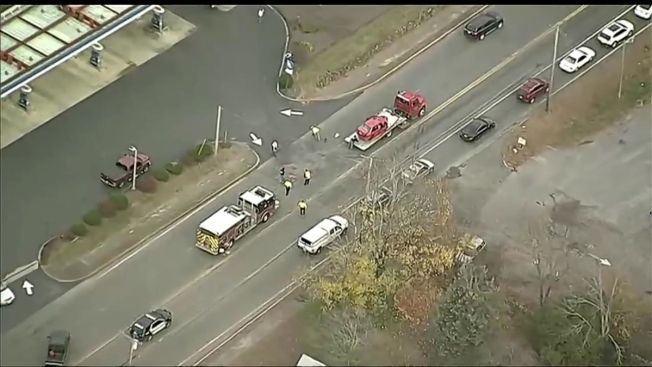 Authorities are investigating a crash Wednesday that caused significant traffic in Raynham, Massachusetts. The crash was reported at approximately 7:15 a.m. on Route 138 near Robinson Street. NBC10 Boston's Sky Ranger helicopter was over the scene and caught footage of a red vehicle on a tow truck. Officials did not immediately report any injuries. The cause of the crash is under investigation.